We are living in the post-shift world, which in the minds of many are creating a lot of confusion and lack of inner direction in the dismantling of the Old Paradigms and the birthing of the New Earth. Pre-conceived ideas about what our world should have looked like at this time have not manifested because we are still in the process of the transition period of the end of the 13th Bak’tun, the Kali Yuga and the Piscean Age. Much of this can however be clarified by Mayan quantum science and what it teaches us about the field in which we are currently living as well as by Shamanic and Indigenous Knowledge and Ancient Prophecies. 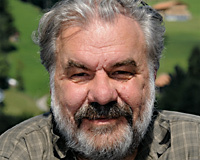 In this workshop Carl Calleman will be sharing information he has gathered and written about for many years about the Mayan Cosmology and knowledge and the Waves and Cycles of the Creation Matrix. Michele ‘Ama Wehali’ will be sharing information, shamanic journeys and ceremonies with the evolving World or Cosmic Tree/Tree of Life as the center. The participants will be taken on a shamanic journey to honor and clear the path of their ancestors, the roots of the tree so that they may be able to connect with the upper worlds of the 13 Heavens, the higher attributes and energies of Creation, the 13 sacred cultures, assisting those who have gathered to align with the destiny of humanity. The focus will be on empowering you to live in accordance with the highest frequency that the Universe is now awakening in you, in order to contribute to the continued evolution of the human race. 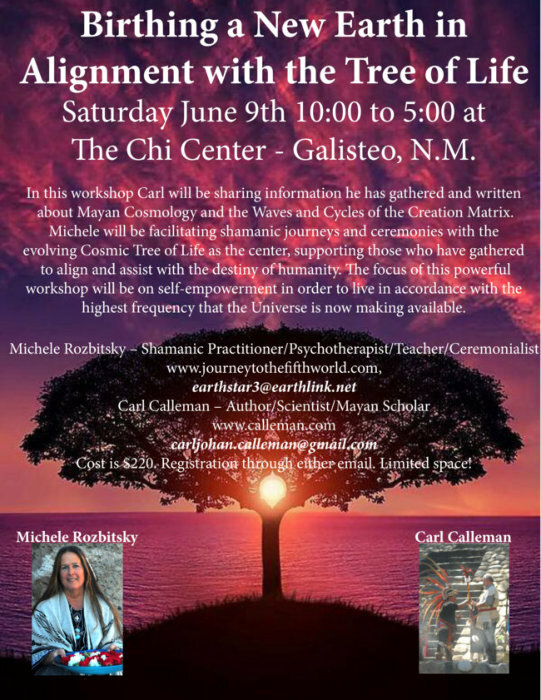 The workshop will take place at the Chi Center in Galisteo, New Mexico 30 minutes from Santa Fe. Saturday June 9th 10:00 to 5:00 . Cost $220. Registration through either email- carljohan.calleman@gmail.com or earthstar3@earthlink.net limited space. This year, the World Oneness day, which is celebrated every year at the United Nations day of October 24, has the distinction of falling on the very maximum of the peak in the Ninth Wave. While there are many ways of honoring this intention of Oneness, to tune into the Ninth Wave is the most powerful. Most importantly this makes it part of an ongoing practice consistent with the long-term destiny of humanity. September 26, 2017 | By: Calleman | Article by Carl Johan Calleman, Ph.D. The recent time has seen an unusual amassment of natural disasters, especially in the Western Hemisphere, which seems to coincide with a political leadership crisis in the United States that is expressed on a daily basis. Is this timewise correlation of dramatic and sometimes catastrophic events really a coincidence or is there, as I have discussed in an earlier article (http://calleman.com/2017/03/01/entering-a-dark-age-and-what-to-do-about-it/) an underlying reason in that the Plumed Serpent (that is to say the Sixth Wave) now again has left this Hemisphere? According to the ancient Maya the wave movement of the “Plumed Serpent” was behind the changes in consciousness that may express themselves in many different ways. Hence, when the “plumed serpent” also known as Quetzalcoatl, arrived it brought prosperity. On the other hand, when the Plumed Serpent left a civilization this could result in the downfall of a dynasty, warfare, natural disasters or religious change, which could all lead to its downfall. To them it was like the Plumed Serpent, which we can now only understand meaningfully as a creation wave, carried the spirit of civilization and so to the ancients this was an important entity to honor. Most people today would probably think of this as just a story, but what if it is true and the ups and downs of civilizations follow such a wave movement? Regardless, it seems we are no at a time where different forms of disasters are conspiring against us, whether those are political, military or natural. 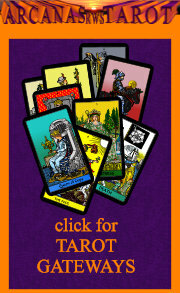 Another explanation to the current state of the world that has been proposed is that an alignment in the constellation of Virgo on September 23 would be a manifestation of Revelation 12, which would connect our momentous times to the Christian scenario of the Apocalypse, or according to some, to Sitchin’s purported Nibiru planet. Yet, of course, the world did not come to an end on this date and no Nibiru planet has appeared or will ever do so. The reason the world will not come to an end on a specific date is that the divine creation process – as we may understand it from the Nine Waves of Creation – does not have any built-in end date. Instead it is designed to continue endlessly in accordance with these waves. This however does not mean that I think the prediction of the September 23 advocates – that we as a species has now really come to a critical point in our evolution – was completely unfounded or that we would somehow be immune to the effects of dark ages defined by the waves of creation. There is much historical evidence that nights in the Mayan calendar carry different kinds of hardships depending on what waves we are looking at. The valleys in the Sixth Wave shown in Fig 1 coincide with such dark ages that have brought major civilizations down and I think it is an illusion to think that the current global civilization dominated by the West would be immune against this. Fig 1. The rise and fall of major human civilizations as a function of the peaks and valleys of the Sixth Wave (wavelength – 788 years). Given our position in the wave movement in Fig. 1 after 2011 (when this turned into a valley or night) I thus think that we have very serious reasons to consider that the Plumed Serpent (the Sixth Wave) is now abandoning the Western Hemisphere as it has done may times before. Without sensationalizing or looking blindly at any singular date, I think we should consider the upcoming turn into a night also of the Eighth Wave on September 27, 2017 (Fig 2), as a point in time when the interference pattern of the waves create a critical shift. The reason is that the approach to this shift has been so relatively dire because it has taken place on the top of waves, the Sixth and Seventh, that have already turned into night phases. Fig 2. The Interference pattern of the higher waves of creation after the shift in 2011. Note that the Sixth Wave at the bottom is also going downwards, but because the downturn of this wave is so slow it is not easily visible in the scale of this diagram. At first sight this shift in the Eighth Wave may not seem to be such an important event considering that this Wave (with a much higher frequency than the Sixth and a wave-length of only 720 days) has turned into a night several times before including more recently in 2013 and 2015. Yet, the context of the current shift is now different coming after the Brexit/Trump votes in 2016 that marked the beginning of the tangible downturn of the Western powers. This shift into a night of the Sixth Wave in 2011 (See fig 3), which because of its low frequency (wavelength 788 years) took until 2016 to clearly manifest, is affecting not only East-West relationships, but also through resonance the relationship between the two brain halves. Fig. 3. The effects on a global and a personal level of the Sixth Wave turning into a night. The dominance of the Western hemisphere as well as of the left brain half (for better or for worse) is coming to an end with the new mind frame of the night that was activated in 2011. Since the human mind then is directly influenced by the global mind and what happens on the geophysical level (as was clearly evidenced in my book The Global Mind and the Rise of Civilization) we should not be surprised if also political mindsets are influenced by this powerful shift on the level of the global mind. Depending on with what waves people have created resonance (which determines the filter through which they perceive reality) they will come to different conclusions as to what is happening and what should be done. 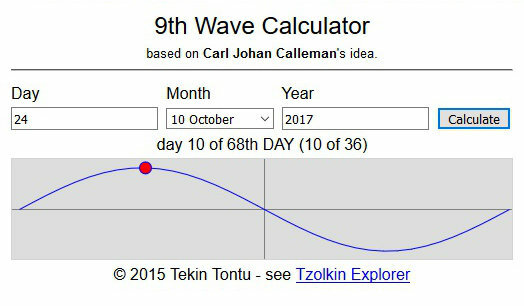 As we can see in Fig 2, where all the waves are shown at the current time running in parallel, the turn into a night of the Eighth Wave means that for the next 360 days following September 26, 2017 (up until September 22, 2018) all the creation waves except the Ninth Wave will remain in dark “valley” states. I, for one, think that we have strong reasons to believe that destruction, both politically and naturally caused, will even now intensify and many will find it hard to see a meaning with life. There is a real risk of a compounding of effects of the nights in several coinciding waves may even further add to the series of real or potential political and natural disasters that recently we have seen accelerating. To me, the interference pattern created on September 27 has an apocalyptic ring to it where only those that have developed resonance with the Ninth Wave and unity consciousness will have wind on their back and be guided forward into the future. It, in fact seems as if people now are going in different directions. One group that take active steps towards unity and another that stays with nationalism, racism and sexism or other ideologies of separation. What determines what group you will belong to is what wave you resonate with. The idea that humanity has come to a decisive crossroads has been proposed many times before, but I think it is only now that this is happening. I do not think that there will be much relief for humanity until 2031, when the Seventh Wave turns into a day. In this time period the Western Hemisphere is likely to be primarily hit as the light that supported its dominance up until 2011 has now gone out (Fig 3). We do not know exactly how this downturn will play out. 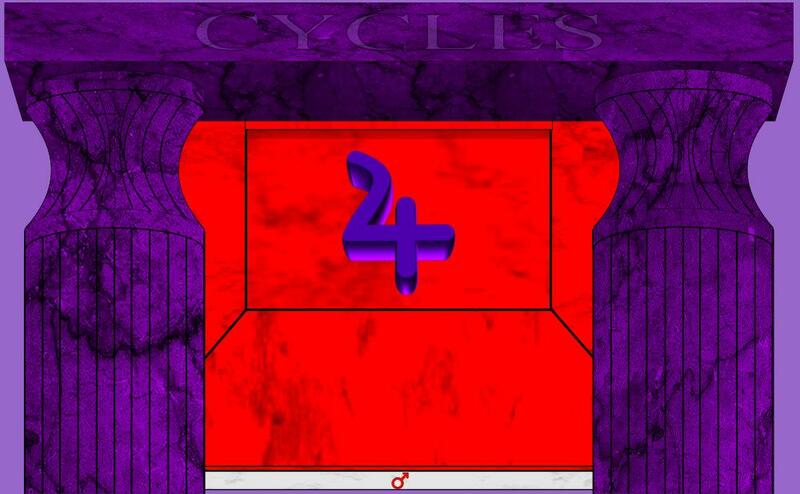 Yet, history (or if you like the Plumed Serpent) makes its way in one way or another in accordance with the shifting phases of the divine waves, but one thing we know is that the more people are stuck in mindsets of duality the harder it will be. How then can such a potentially destructive era, which I consider likely to come, be understood in any kind of positive way? Many will of course think of such a destructive era as a punishment by God or as a karmic response to earlier actions, but would this really be the purpose of the intelligence that created this universe? Could it instead be the only way of creating a world of equality? If we look at it more objectively – as the direct result of an interference pattern of waves influencing the human mind – then we may have an alternative way of seeing this era as an interference pattern supporting a development towards equality (or even a golden age), which is meant to manifest as humanity enters a new day in the Seventh Wave in 2031. Why would this be? Essentially because as the Eighth Wave now goes into a night there will be no wave favoring the duality of the mind or a dualist perception of reality. Moreover, the only non-dualist wave that will be oscillating into a day mode is the Ninth Wave, which brings enlightenment and a unity frame of mind. So even if at the visible level there may seem to be many disasters (both political and natural and possibly military) because of the compounded nights the interference pattern causing these disasters will paradoxically at the same time be the very interference pattern that creates a path towards unity for those that develop resonance with the Ninth Wave. This would explain not only that many spiritual traditions of ancient origin have foreseen a return to unity, but also why the path there, such as for instance in the Christian Apocalyptic scenario would go through a series of catastrophes. The unity consciousness of the golden age (or the New Jerusalem if you prefer biblical language) in fact presupposes equality between all nations and individuals on a planetary scale. For this reason the path to this will require that humanity goes through a period of mental non-duality, which is what the upcoming interference pattern provides. History has shown that human beings for the most part do not voluntarily give up a state of dominance they have had over others and it is exactly the dualist mind of the Sixth Wave days (See Fig 3a) that in the past has legitimized dominance. Then in order to prepare for equality and the manifestation of unity consciousness an interference pattern of non-duality will have to dominate the minds of the human beings for a relatively long time and this is what I am proposing that we now about to face. The duality of the Sixth Wave mind in its days (fig. 3a), is not only what led to the Western dominance of the world (fig 1). This duality also led to all forms of dominance that some individuals have had over others based on race, bloodline, gender, or religion, a dominance that has manifested itself in the economic and political arenas. If it for instance seems that at the current time there is a revival of racism in the United States this is because the new mind (3b) clashes with the racism that was inherited from the duality of the previous day (3a). Hence, if racial or gender inequality, and especially economic inequality, has been caused by the duality of the Sixth Wave mind, then the latter will be a constant impediment to the path towards a golden age of non-duality. However, also nationalism has come out of a mindset of dominance fostered by the duality of the Sixth Wave and is by itself a reat impediment to peace. Hence, the manifestation of a golden age will require that the majority of people transcend not only racism and sexism, but also transcend the subordination to a national perspective and become able to embrace one – humanity first! – that is global. 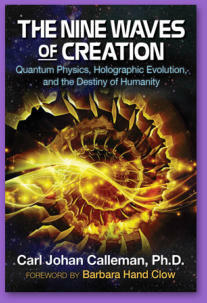 Many of the effects of the creation waves and their interference pattern were discussed in my book The Nine Waves of Creation. The shift on September 27, 2017 means that the shift into a night of the Eighth Wave, (which albeit it has a feminine streak is also a dualist Wave), will add to the non-duality of the global mind. This is why, paradoxically maybe, darkness and non-duality will go hand in hand on many very different levels. The conclusion is that while I expect the following thirteen years to become very destructive (especially to the Western Hemisphere and institutions based on the dominance of the left brain half) this era will at the same time prepare for a world of global solidarity based on equality that after 2031 truly will become a possibility. For those that want to be part of such a world, awareness of and development of resonance with the Ninth Wave and uncompromisingly following the guidance and visions provided by this are pre-requisites. From the perspective of the unity consciousness that will be developed in the meantime many problems that seem intractable from a dualist mind-frame will naturally come to find new and enlightened solutions.